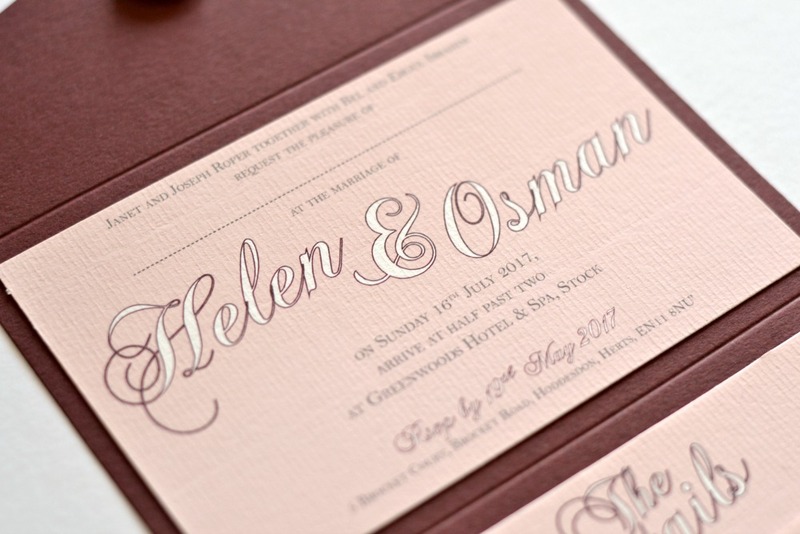 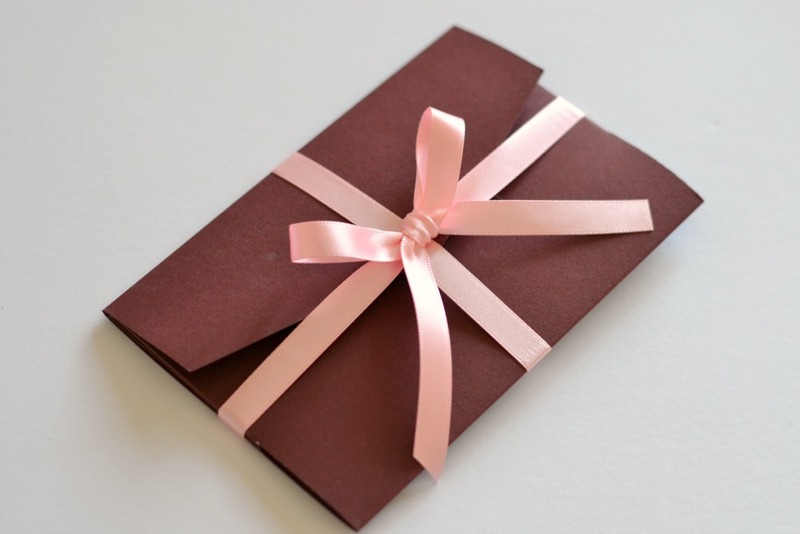 Using our Elegance range as a starting point, Helen and Osman asked us to create their wedding invitations using their wedding colours of burgendy and blush pink. 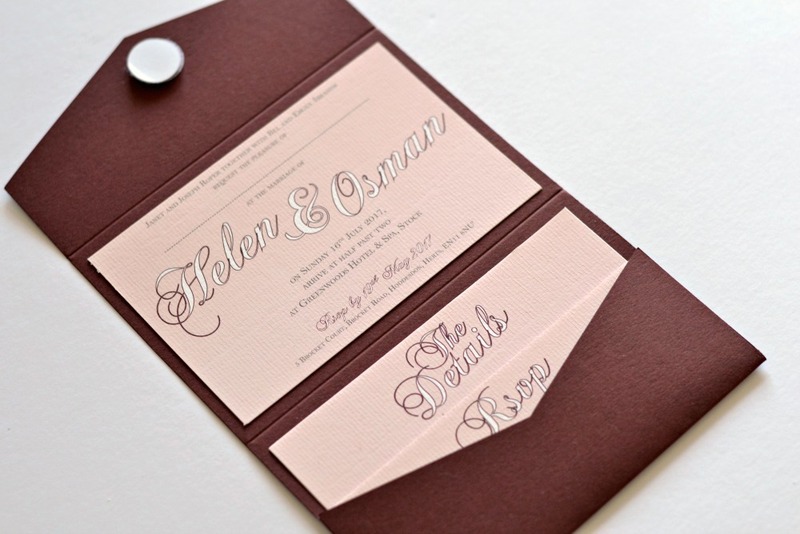 We designed these stunning pocketfold invitations for them with a separate rsvp card and details card. 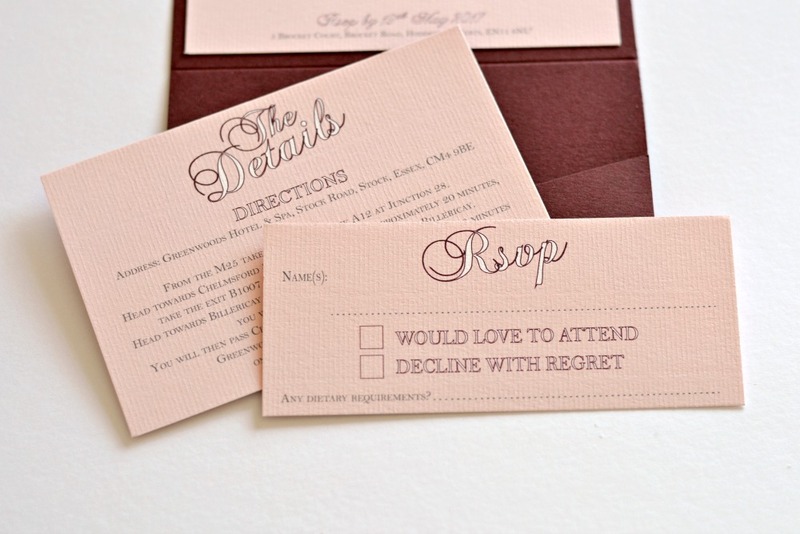 They got married at Greenwoods Hotel and Spa in Essex.